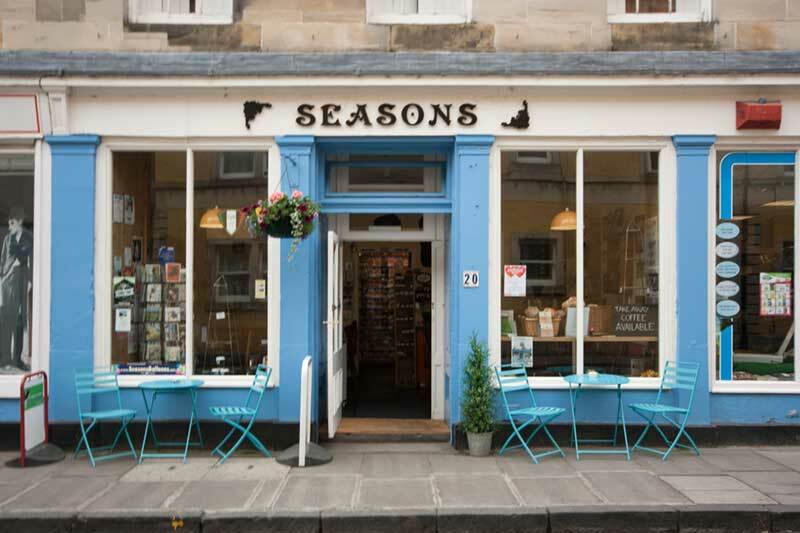 Seasons a family run independent coffee shop, serving Torelli coffee sit in or takeaway.We pride ourselves in the quality of our coffee which can be enjoyed in a relaxed friendly environment whilst reading the papers (provided) and taking it easy, or takeaway and relax in our picturesque square. We serve Caffe Torelli Italian coffee A fine blend of highest quality Arabica and selected Robusta coffee beans, evenly roasted to produce a superior cup of coffee with a rich and distinctive taste. 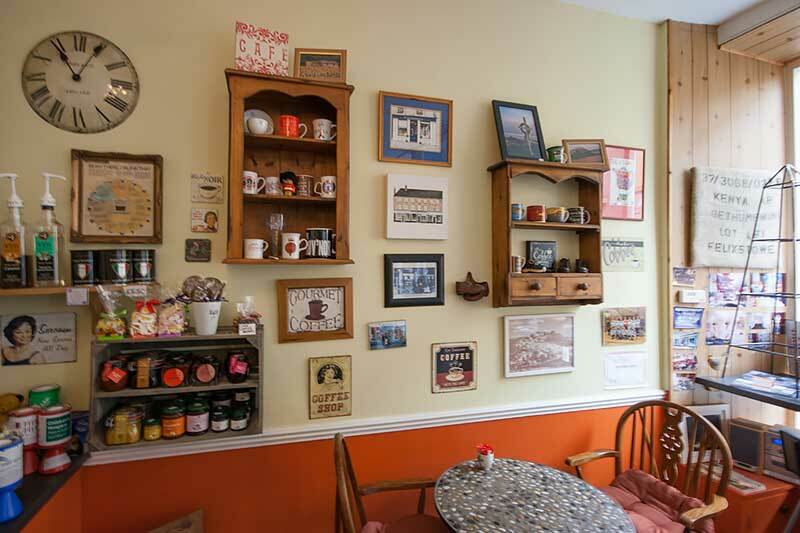 We pride ourselves on the quality of our coffee and strive to ensure every cup is of a consistently high standard. Our luxury Ice cream served in a waffle cone or a tub comes from Over Langshaw a family run dairy farm in the Scottish Borders. Thanks to their cool coos and cheerful chooks they are able to use their own fresh milk, cream and eggs giving us a uniquely creamy, smooth and rich ice cream. They also use local seasonal berries and fruits to make delicious and refreshing sorbets. Sold in our shop are handmade Belgian chocolates, sold in boxes of various sizes. The majority of our chocolates are hand crafted in the south west of Scotland using high quality Belgian chocolate and ingredients. Whether for a gift or a self-indulgent addition to go with your coffee they are perfect.